Despite the constant assurance by the United States government to investors, that all is well with the domestic economy there are a number of government reports and other statistics that say otherwise. The March jobs announcement is an example of this. Economists had expected non-farm payrolls to rise to 245,000. Instead the numbers came in, at a mere 126,000. It was the worst report since December of 2013. It is another clear indication that there are a number of underlining weaknesses that gradually is eroding an already sluggish economic recovery. There are also an increasing number of indicators that the end of the business cycle is nearing. Investors are becoming increasingly apprehensive as a result. Analysts will attempt to blame the March jobs report on a number of factors that include weak consumer spending, declining corporate profits and even bad weather. Making matters worse, the February numbers are now being revised downward from 295,000 to 245,000 and January results from 239,000 to 201,000. The March report was the first time that job creation was below 200,000. The Administration continues to tout the low unemployment figures, but the official rate of 5.5% is somewhat misleading. Labor participation is at 62.7%, the lowest since 1978. If labor participation was as high as it was during the Bush Administration less than a decade ago, unemployment would be in excess of 9%. 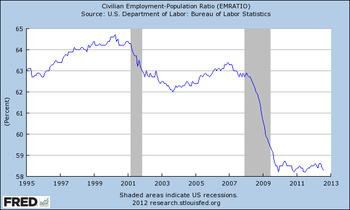 If this had been a typical recovery there would now be 14 million more Americans employed. The real unemployment rate if one includes the underemployed and those who have simply given up, is 10.9%. With employment growth slowing speculation is increasing that the Federal Reserve (Fed), the central bank of the United States will continue to keep interest rates at historically low levels indefinitely. They were lowered to near zero in 2008 and have remained there every since. Once investors made the determination that the Fed would not move rates higher, stocks rallied from the previous bad employment news from last week. The dollar did stumble a bit in value and crude prices had a modest gain in price. American priced oil (WTI) is now back above $52.00 USD (United States Dollar), after a 6% increase and international priced Brent is now above $58.00 USD again. The slowdown in hiring is broad based across various sectors of the economy. Manufacturing payrolls dropped for the first time since July of 2013. Employment in the hospitality industry is now at the lowest point since September of 2013. The energy sector especially oil and gas continues to shed jobs. The slowdown has seen a reduction of employment in the construction industry as well. That investor confidence in the United States economy and the American dollar is declining is evident in the spike in precious metals since last week. The sale in these commodities is now ending. They are all above the cost of production again. Economists continue to explain slower growth on sluggish consumer demand. There is a paramount reason behind this decline. Consumers in the United States are just tapped out. 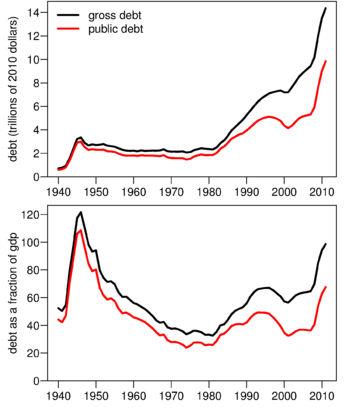 The total debt for households now stands in excess of $3.2 trillion USD. They are simply finding it difficult to rack up more debt even at lower interest rates. Personal debt as part of the total consumer tally, reflects a large run up in student debt as education costs have spiraled upwards. More than $1.2 trillion USD and climbing rapidly. The default rate is also rather high at 14%. Even worse is at for profit colleges, where the nonpayment rate is around 20%. The reason for this is uncomplicated. These students leave school for the job market and either are unable to find a job or more likely the case, one that will pay well enough to manage the high level of debt incurred in education costs. There has been a resurgence in some sub-prime lending once again, which clearly does not bode well for the future. Lending vast sums of money to borrowers who simply were unable not pay it back, but could service the interest in the short term, is not sound banking policy. It is what helped take the economy down in the Great Recession, lasting from the end of 2007 to the spring of 2009. The pattern is not just limited to real estate, but can be seen in auto loans as well. Nearly one third of them, can now be considered sub-prime. Furthermore, as banks are always anxious to make additional money, the United States Congress has once again made it somewhat easier for financial institutions to speculate in derivative trading and debt swaps. 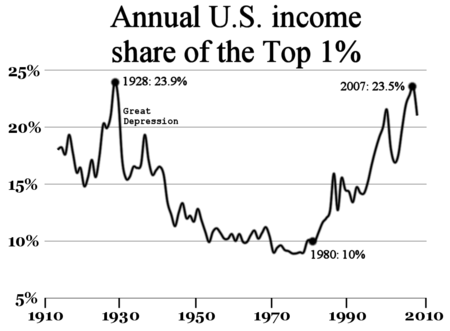 The rapid rise in asset prices including the stock market have not benefited the middle class at large, but rather most of the financial rewards have been concentrated among the wealthy. They as a class have benefited enormously from the present economic and financial policies of the last 6 years. Their wealth is concentrated in tangible assets which continues to increase in value. So much of the advantage of the increase in the markets, does not help the cash strapped average consumer. As the inevitable slow down in business activity arrives, what can the United States government do? As of last year more businesses were closing than were opening. This is a major change for the present United States economy. As small enterprises are the real job creators in the American economy, you would think that policies would be enacted that would assist them in their endeavors. Quite the opposite is occurring. Extra costs and regulations continue with increasing environmental restrictions and added medical expenses soon to be incurred through what is called the Affordable Health Care Act or simply Obama Care in the United States is the order of business. The United States government then goes even further with efforts to go after big businesses that are attempting to reduce their tax liabilities by moving corporate headquarters overseas. Known as corporate inversion it has become a favorite target of the present administration, as if cutting costs was now unpatriotic. This is the result of the country having the highest corporate rate of taxation in the industrialized world. 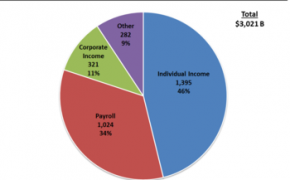 At 39.1% it is a definite consideration in the bottom line for companies across the board. To argue that it is not the effective rate because of the many tax loopholes and write offs is correct, but all this additional paperwork and personnel needed to figure it all out, adds more costs to final company expenses. There cannot be another government sponsored stimulus. The last one passed in 2009 to the tune of over $800 billion USD, one can argue did provide some extra liquidity in the market. However, these kind of fiscal efforts are no longer feasible, with ongoing federal deficits and the national debt now in excess of $18 trillion USD. 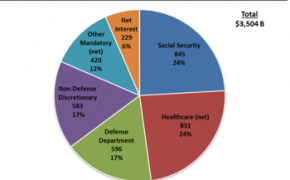 The more troubling $120 trillion USD in unfunded government liabilities in social programs for retirement and medical care are looming ever larger on the financial horizon for the United States. If the Federal Reserve would return to quantitative easing as a way to stimulate growth, the short term benefits would be eventually discounted, as the devaluation in the United States dollar and inflation would each in turn have their impact on the United States economy. Pumping ever greater amounts of liquidity in the markets, will not at this point restore consumer demand. Further monetary manipulation will not solve the problem. What is needed now are policies that will restore business confidence and grow the economy, not run up more debt. Despite the rhetoric coming from the United States government, real economic growth and investment is not something that can be mandated or enacted into law by politicians, it has to occur in the private sector organically. Jeffrey, I respectfully disagreewith most of the points made here, new info strengthens the argument that the economy’s modest contraction in the first quarter was merely a blip, partly a casualty of the harsh winter, rather than evidence of a more fundamental U.S. economic slowdown. Employers added a whopping 280,000 jobs in May, well above the monthly average recorded from the last year. The official unemployment rate tickedup slightly to over 5 percent as more folks jumped back into the labor pool and began the job hunt. Hourly wages, which have grown fitfully, rose almost half a percent last month, possibly helping to lure back some discouraged workers who had been staying on the sidelines. The return of stronger job growth is also likely to bolster the resolve of Federal Reserve officials who hope to start raising interest rates from their near-zero level later this year. Honestly, this is the best combination of numbers we have seen in some time, I’m unconcerned about the bump up in the jobless rate because wages are ticking up and attracting people back into the labor force, we are still seeing strong employment growth. America’s recovery is still progressing, but I enjoy the counterpoint.